KAMPALA – MPs on the Parliamentary committee on Commissions, Statutory Authorities and State Enterprises will seek answers from deputy Bank of Uganda governor Dr. Louis Kasekende after it emerged he wrote to potential investors before Crane Bank was controversially sold to dfcu Bank at a paltry Shs 200 billion. Apart from the inquiry into the sale of seven banks, members on the COSASE have vowed seek answers after disturbing details that Dr. Kasekende, one of the 8 central bank officials in the spotlight offered insider information to potential investors about the sale of Crane Bank while the central bank and Crane Bank’s majority shareholder, business mogul Sudhir Ruparelia, were still in negotiations. 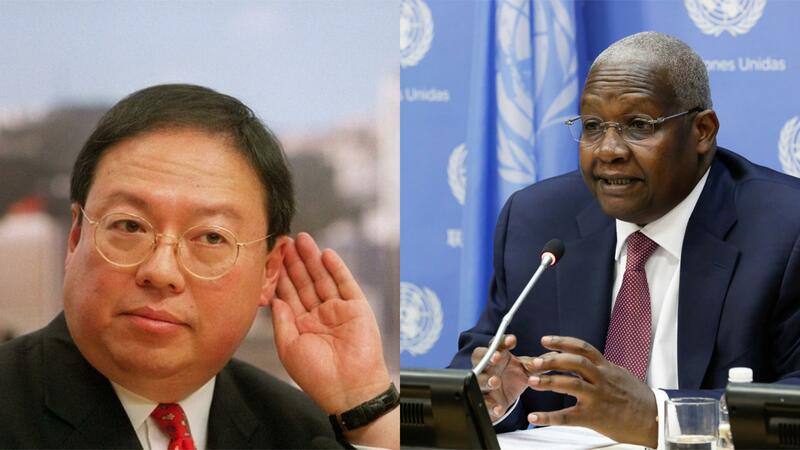 The investor in question, Patrick Ho, allegedly paid Foreign Affairs Minister Sam Kutesa $500,000 as part of a plot to advance his Chinese firm’s business interests in Africa, specifically Uganda’s energy and financial sectors. Documents from the American agency, Federal Bureau of Investigations (FBI), indicate that Kutesa’s wife, Edith Kutesa, was helping Ho in acquiring a Ugandan commercial bank. The bank has since been identified as Crane Bank, which BoU later sold to DFCU Bank. This evidence has been forwarded to the committee which resumes hearing on Thursday. 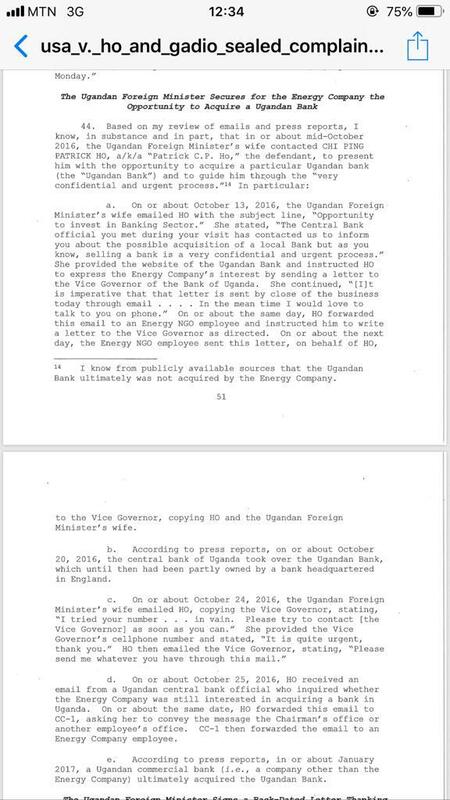 The FBI documents show that Dr. Kasekende met with the Chinese investors and shared information with them about Crane Bank before BoU took it over. While the central bank has defended Kasekende’s actions as not illegal, the criticism has not abated. 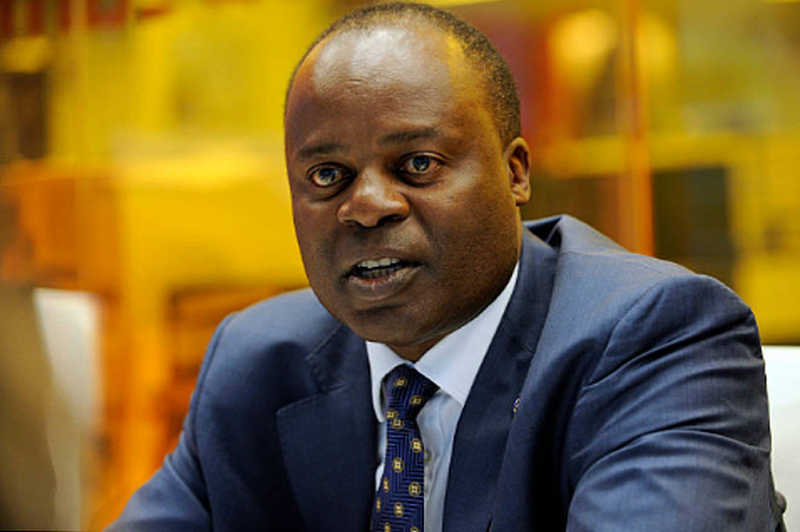 Critics claim that Kasekende’s actions showed that BoU officials were hell-bent on selling to foreign investors Crane Bank even as they negotiated with the proprietor. 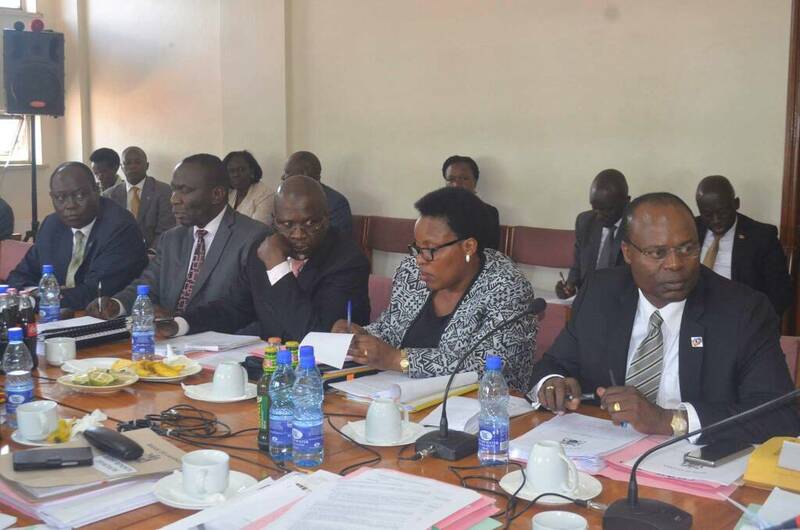 Eight top Bank of Uganda (BoU) officials including Dr. Kasekende face the spotlight as the parliamentary inquiry into the sale of seven banks including the Shs 200 billion giveaway of Crane Bank to dfcu Bank enters week three. The others are senior bank officials Benedict Sekabira, Timothy Sekirayi, Grace Ndyareeba, Margaret Kasule, Titus Mulindwa, William Kasozi and Justine Bagyenda who has since retired from the central bank under a cloud. The eight, will according to sources that have scrutinized the documents submitted by the central bank to the MPs last week had a big hand in the issues surrounding the sale of the banks. It is understood that the MPs will also question NSSF Managing Director Mr Richard Byarugaba, whose hand has been cited into the closure of Global Trust Bank and Mr. Juma Kisaame, the deposed dfcu Bank Managing Director, who has been in the spotlight following the controversial takeover of Crane Bank, which he presided.